From the left: Department engineer Francois Pierre Alexandre Cléon, Masterstudent Angie Carola Alarcon Rios, Department engineer Mikkel Meyn Liljegren, Medical research student Anna Sollied Møller, Biostatistician Joachim Hegstad, Doctoral Research Fellow Julia Maria Kloos, Professor and Group leader Pål Jarle Johnsen, Doctoral Research Fellow Jonina Gudmundsdottir, Researcher Klaus Harms, Laboratory Manager Elizabeth G. Aarag Fredheim, Professor Ørjan Samuelsen, Project coordinator Maria-Elena Putz, Postdoctoral fellow Joao Pedro Alves Gama. Not present: Associate Professor Raul Primicerio, Postdoctoral fellow Vidar Sørum, Postdoctoral fellow Nicole L. Podnecky, Medical research student Emma Lu Øyenes. 1. Evolution, selection, and spread of antibiotic resistance: It is clear that the frequency of antimicrobial drug resistance in the community is associated with the total level of antimicrobial consumption. Not so clear is the association between reduced consumption levels and subsequent reduction in the frequency of resistance. We focus on different processes that may counteract the reversal of antimicrobial resistance in drug free environments such as the biological cost of resistance, horizontal gene transfer, and genetic stability of resistance determinants. We are currently expanding our activities to include approaches for optimized antimicrobial treatment informed by principles of evolutionary and population biology and the transmission dynamics of antimicrobial resistance genes/elements in bacterial populations. 2. Mechanistic and evolutionary consequences of bacterial recombination: Horizontal gene transfer (HGT) in bacteria plays a major role in adaptive evolution exemplified by the evolution, spread and selection for antibiotic resistance determinants. For two out of three described mechanisms of HGT, conjugation and transduction, gene recruitment through recombination is likely a coincidental byproduct of plasmids’ and phages’ need for continuous transmission to new hosts. The third mechanism of HGT, natural transformation, is a complex mechanism for DNA uptake that requires the concerted action of many chromosomal genes. On first consideration it appears evident that this mechanism for HGT has evolved to “sample the available sequence space” in order to increase the adaptation rates of transformable strains. However, other hypotheses exist for both the evolution and the maintenance of natural transformation in bacteria. We are currently testing a number of these hypotheses both experimentally and theoretically. We are also interested in the mechanistic basis of bacterial recombination and how it affects genetic diversity in microbes. 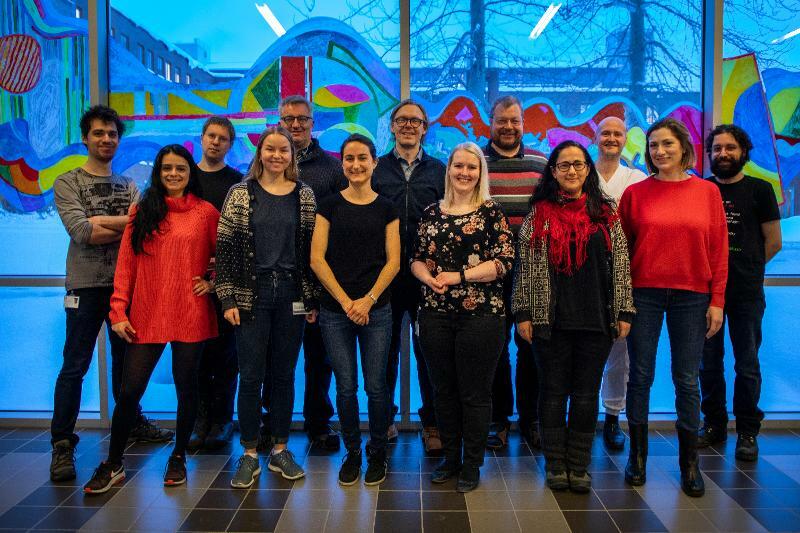 MicroPop closely collaborates and shares lab-space and facilities at the Department of Pharmacy with the Infection Biology research group, headed by Dr. Soren Abel (Centre for Molecular Medicine Norway). Levin B. R., Baquero F., and P. J. Johnsen. A Model-Guided Analysis and Perspective on the Evolution and Epidemiology of Antibiotic Resistance and its Future. Current Opin Microbiol. 2014: Jun;19:83-9. Starikova I., Al-Haroni M., Werner G., Roberts A. P., Sørum V., Nielsen K.M., and P. J. Johnsen. * Fitness costs of mobile genetic elements in Enterococcus faecium and Enterococcus faecalis.J Antimicrob Chemother. 2013 Dec;68(12):2755-65. Epub 2013 Jul 5. StarikovaI., Harms K., Lunde T. M., Haugen P., Primicerio R., Samuelsen Ø., Nielsen K. M, and P. J. Johnsen. 2012. A trade-off between the fitness cost of functional integrases and long-term stability of integrons. PloS Pathog.8(11):e1003043. Ørjan Samuelsen, Professor (20%) and Norwegian National Advisory Unit on Detection of Antimicrobial Resistance, University Hospital of North Norway.